The design of the packaging is very minimalistic, that's why I love this brand so much. The new version of this cream - the one that you can see on photos - comes in a tube instead of a glass jar. I've got mixed feelings about this solution - the tube is very convenient if you plan to take this cream with you on trips or even if you want to throw it to your bag and use it during the day but if you don't plan to cut the packaging to use the rest of this product then you're wasting quite a big amount of the product. This product is suitable for all the skin types. Caprylic/Capric Triglyceride - oily emollient, it makes skin soft and moist but this ingredient is made from coconut oil and glycerin - both of them might be comedogenic. Glycerin - good moisturiser, it helps other substances to get through the surface of the skin to the deeper layers of our skin. Some people say that they have comedogenic reactions to this ingredient. Cetyl Alcohol - another oily emollient, it protects skin from dehydration. Cyclopentasiloxane - an emollient and light silicone but you shouldn't be scared of it - according to EWG, this ingredient isn't harmful. Glyceryl Stearate - an emollient with smoothing properties, it might be comedogenic. Sodium Hyaluronate - humectant, good moisturiser and anti-wrinkle ingredient. You might not know that but sodium hyaluronate is also used to speed up the healing process and to remove pigmentation. It's a real multi-tool! Cetyl Ethylhexanoate - a greasy emollient, it helps with product application and it moisturises skin but it has a dark side - it might be comedogenic. Stearic Acid - an emollient, it might be comedogenic. Butyrospermum Parkii (Shea Butter) - greasy emollient, strong moisturiser (it can help with inflammation). A source of vitamins and minerals such as Vitamin A and Vitamin E. Simmondsia Chinensis (Jojoba) Seed Oil - an emollient, the structure of Jojoba Seed Oil is very similar to sebum that's why this oil is recommended for every skin type. It's a very nourishing and regenerating ingredient. Beta-Glucan - an antioxidant, it increases collagen production and speeds up healing process that's why this ingredient is used in anti-aging products as well as products for acne-prone skin. Sorbitan Sesquioleate - an emulsifier. Microcrystalline Wax - an emollient, it keeps skin from dehydration. It might be comedogenic. Betaine - powerful but gentle moisturiser. Peg-100 Stearate - an emulsifier which is not good for the skin. Ceramide 3 - lipid that naturally occurs in the skin, a good moisturiser that improves skin barrier. Polyquaternium-51 - humectant and a good moisturiser. Sorbitan Stearate - an emulsifier, it might be comedogenic. Dimethicone - an emollient but also a silicone, it changes the texture of a product, it might be comedogenic that's why we need to remember about cleansing. Tocopheryl Acetate - Vitamin E, it's a good preservative but it also works for skin, because it's an antioxidant - you can get positive effects with this ingredient if you want to care more about wrinkles, skin protection and moisture. Carbomer - a thickener, it might be comedogenic. Arginine - boosts collagen production. Illicium Verum (Anise) Fruit Extract - this fruit extract doesn't only give a smell to the product, it has also antibacterial properties. This ingredient should be avoided during the pregnancy. Citrus Paradisi (Grapefruit) Fruit Extract - is a source of vitamin C and another antioxidant. Nelumbium Speciosum Flower Extract - also known as Lotus Flower Extract, this ingredient will make your skin brighter. Paeonia Suffruticosa Root Extract - it’s nothing else than peony root extract which is a good antioxidant which works for quicker skin healing and improves blood circulation. Scutellaria Baicalensis Root Extract - is one of the herbs used in traditional Chinese medicine, another antioxidant, it might help with wrinkles and inflammations. Chlorphenesin - a preservative. Disodium Adenosine Triphosphate - it helps with collagen production and skin moisture. Algin - amazing humectant, it can be comedogenic. Carica Papaya (Papaya) Fruit Extract - a source of vitamin A and C, it makes your skin brighter. This ingredient will be great for acne-prone skin because both vitamins are used to treat acne and post-acne pigmentation. Citric Acid - this acid belongs to the group of AHA acids. It's a mild exfoliator. Portulaca Oleracea Extract - an antioxidant which reminds me a little bit of Aloe because it contains almost 93% of water. Besides water, it's a plant full of vitamins and minerals. It's good for inflammation and lack of moisture. Natto Gum - products made from soy fermentation. Even if you've got a soy allergy this ferment form of soy can heal your skin. Natto Gum is told to be another antioxidant, it helps with wrinkles but it also increases skin moisture and it has skin soothing properties. Centella Asiatica Extract - also known as Gotu Kola, it works for many different skin problems such as wrinkles, acne, pigmentation and even with dark circles under the eyes. Althaea Rosea Flower Extract - full in vitamins, it’ll make your skin soft but it is also told that this flower extract has anti-inflammation properties. Aloe Barbadensis Leaf Extract - Aloe is good for different skin problems such as acne or dehydration, aloe contains almost 99% of the water that's why it's a good moisturiser. Disodium EDTA - a preservative, it's safe in small concentration. Apium Graveolens (Celery) Extract - this ingredient is usually used for the smell. Brassica Oleracea Capitata (Cabbage) Leaf Extract - an antioxidant and source of vitamin C. Brassica Oleracea Italica (Broccoli) Extract - is a source of vitamin C and vitamin A, so this ingredient can make your skin brighter. Brassica Rapa (Turnip) Leaf Extract - a source of vitamin C, it can balance sebum production. Daucus Carota Sativa (Carrot) Root Extract - an antioxidant that makes the skin soft in touch but it also works on wrinkle and it helps with skin moisture. Oryza Sativa (Rice) Bran Extract - a mild exfoliator, it helps with blood circulation. Solanum Lycopersicum (Tomato) Fruit/Leaf/Stem Extract - an astringent, it helps with the healing process. Lysine Hcl & Proline - increase skin elasticity and they can be used as anti-ageing ingredients. Sodium Ascorbyl Phosphate - a stable form of vitamin C and as you know vitamin C makes your skin bright. Acetyl Methionine - an antioxidant. Theanine - skin moisture. Lavandula Angustifolia (Lavender) Oil - this oil has antiseptic properties but it's also a source of the nice scent. Some people might get an allergic reaction to this ingredient. Eucalyptus Globulus Leaf Oil - it helps with skin irritation. Pelargonium Graveolens Flower Oil - antiseptic ingredient. Citrus Limon (Lemon) Peel Oil - an antioxidant, it can stop the ageing process and it gives a nice smell to the product. Some people might get an allergic reaction to this ingredient. Citrus Aurantium Dulcis (Orange) Peel Oil - this oil has anti-ageing properties. Cananga Odorata Flower Oil - also known as Ylang Ylang Oil, it calms your nerves but it also has a good meaning to the skin - it balances sebum production and it's an anti-irritation ingredient. The smell is a little bit like lemon or grapefruit - very fresh, fruity scent which I think everyone can tolerate. The smell disappears quickly so you won't smell it. The texture is quite thick but I can spread this cream all over my face pretty easily, it's not a heavy cream - it might feel like it's an oily product but you can't feel the weight of this cream on the skin. 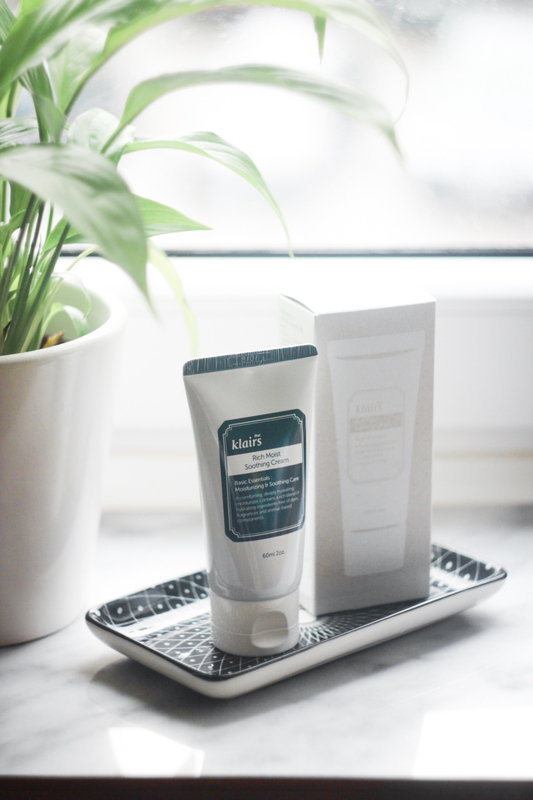 For ages, I had a problem with finding an ideal moisturiser - usually, all the products are too heavy for acne-prone skin. I've decided to buy the first packaging in late 2016 - I think it was November and from this time it's my all-time favourite product. The formula is good for oily skin, I do not see any comedogenic or allergic reaction to this product. The smell is really nice so I can't complain. The packaging is a little bit useless - I had to cut the packaging into two halves to get as much of this product as I can - definitely Blue Midnight Cream has better packaging. My skin has better moisture and protection, after using it for a long time I can admit it's a good moisturiser and it's lighter formula than Blue Midnight Cream. I'm using this cream as a base for sunscreen or foundation - if I've got a foundation/cushion/BB Cream with SPF50 - and it works with all these products. The price of this product might be high but I'm using it twice a day and it lasts 5-6 months. According to the producer's website, this product is suitable for vegans. This product can be used by people with sensitive skin. 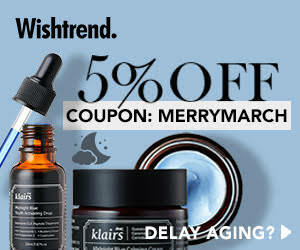 You can get this Klairs Rich Moist Soothing Cream on Wishtrend (24.50$/60ml). I've just shown you my favourite moisturiser which I highly recommended. It's a very delicate product with lots of good ingredients. I'm 100% sure that I'll purchase another one after I use the current package but honestly, I want to try Neogen Black Volume Cream between current packaging and the next one to see if I'll feel any difference. I hope you've enjoyed this review. Let me know what do you think about this cream, have you ever tried it? Do you know Klairs? What's your favourite Klairs product? It was really hard to choose because all the answers were great and full of knowledge but I had to choose Allantoin which is La Bleuet's favourite ingredient - I feel like she's my soulmate - I also should stop eating the things that are potential allergens instead of using allantoin on every inflammation :) I'm sure there'll be another giveaway but I won't tell you anything about it yet. Please, La Bleuet contact me - the mail is in "about" section. Czy istnieje produkt, który pasuje do każdej cery? Rok wcześniej powiedziałabym, że nie, przecież to nie jest możliwe! Jednak istnieje marka, która specjalizuje się w produktach odpowiednich dla każdej cery - Klairs. Krem Klairs Rich Moist Cream nie był moim pierwszym wyborem, jednak zdecydowałam się dać mu szansę, a dzisiaj podzielę się z Wami moją opinią na jego temat. Klairs to koreańska marka, która specjalizuje się w produktach nietestowanych na zwierzętach. Ich główne motto to „simple but enough” czyli prosto, ale wystarczająco - oznacza to, że w produktach marki Klairs nie znajdziemy kilku serii produktów do cery - każdy produkt ma być odpowiedni dla każdego rodzaju skóry. Wszystkie produkty Klairs są odpowiednie dla wegetarian, a marka obecnie pracuje nad zmianą formuł na przyjazne dla wegan. Design opakowania jest bardzo minimalistyczny, dlatego też kocham tę markę. Nowa wersja kremu - ta, którą widzicie na zdjęciach - wydana została w tubce zamiast w szklanym słoiku. Mam mieszane odczucia do tego rozwiązania - tubka jest bardzo poręczna jeśli planujecie zabierać krem z sobą w podróże czy też po prostu jeśli chcecie go wrzucić do torebki, aby towarzyszył Wam w ciągu dnia, jednak jeśli nie planujecie przecinania produktu na pół przy jego końcu to na pewno zmarnujecie dużą ilość kremu. Produkt odpowiedni jest dla każdego typu cery. Caprylic/Capric Triglyceride (trigliceryd kaprylowo-kaprynowy) - tłusty emolient, sprawia, że skóra jest miękka i gładka w dotyku, jednak składnik ten stworzony jest z oleju kokoswego i gliceryny - oba mogą być komedogenne. Glycerin (gliceryna) - dobry nawilżacz, pomaga innym substancją w dotarciu do głębszych warstw cery. Niektóre osoby narzekają na komedogenność gliceryny. Cetyl Alcohol (alkohol cetearylowy) - kolejny tłusty emolient, chroni cerę przed odwodnieniem. Cyclopentasiloxane (cyklopentasiloksan) - emolient i lekki sylikon, jednak nie powinniśmy się go bać - wg. EWG nie zagraża on zdrowiu. Glyceryl Stearate (stearynian glicerolu) - emolient, ma właściwości łagodzące, może zapychać cerę. Sodium Hyaluronate (hialuronian sodu) - humektant, dobry nawilżacz i składnik przeciwzmarszczkowy. Może tego nie wiecie, ale składnik ten przyśpiesza proces gojenia i wspomaga usuwanie przebarwień. Cetyl Ethylhexanoate - tłusty emolient, pomaga w aplikacji produktu i nawilża cerę, ale ma też wady - może być komedogenny. Stearic Acid (kwas stearynowy) - emolient, możę być komedogenny. Butyrospermum Parkii (Shea Butter) (masło shea) - tłusty emolient i mocny nawilżacz (może pomóc z podrażnieniem). źródło witamin i minerałów takich jak witamina A czy witamina E. Simmondsia Chinensis (Jojoba) Seed Oil (olej jojoba) - emolient, olej jojoba przypomina nasze sebum dlatego też polecany jest do każdego rodzaju cery.To bardzo odżywczy składnik pomagający w regeneracji. Beta-Glucan (beta-glukan) - antyoksydant, wspomaga produkcję kolagenu i przyśpiesza proces regeneracji skóry dlatego produkt ten używany jest w produktach przeciwzmarszczkowych jak i przeciwtrądzikowych. Sorbitan Sesquioleate (seskwioleinian sorbitanu) - emulgator. Microcrystalline Wax - emolient, chroni cerę przed odwodnieniem. Betaine (betainy) - silny, ale delikatny dla cery nawilżacz. Peg-100 Stearate - emulgator, który nie należy o najzdrowszych. Ceramide 3 - lipid, który naturalnie występuje w skórze. Dobry nawilżacz, który poprawia barierę naturalną skóry. Polyquaternium-51 - humektant i dobry nawilżacz. Sorbitan Stearate (stearynian sorbitanu) - emulgator, może być komedogenny. Dimethicone (dimetikon) - emolient, ale zarazem sylikon, który zmienia konsystencję produktu, może zapychać dlatego też musimy pamiętać o oczyszczaniu cery. Tocopheryl Acetate (octan tokoferylu) - witamina E, dobry konserwant, który również działa na cerę, bo jest to antyoksydant - możesz osiągnąć pozytywne efekty używając produktów z tym składnikiem w kuracji przeciwzmarszczkowej, ale również jeśli liczysz na ochronę i nawilżenie skóry. Carbomer (karbomer) - zagęszczacz, może być komedogenny. Arginine (argininia) - poprawia produkcję kolagenu. Illicium Verum (Anise) Fruit Extract (ekstrakt anyżowy) - ten owocowy ekstakt nie tylko nadaje zapach, ale ma również działanie antybakteryjne. Należy unikać go w czasie ciąży. Citrus Paradisi (Grapefruit) Fruit Extract (wyciąg z grejpfruta) - źródło witaminy C i kolejny antyoksydant. Nelumbium Speciosum Flower Extract (wyciąg z kwiatu lotosu) - rozjaśnia cerę. Paeonia Suffruticosa Root Extract (ektrakt z korzenia piwonii) - to nic innego niż korzeń piwonii, który jest dobrym antyoksydantem, wspomaga proces gojenia się ran i poprawia cyrkulację krwi. Scutellaria Baicalensis Root Extract (wyciąg z korzenia tarczycy bajkalskiej) - jedno z ziół używanych w tradycyjnej medycynie chińskiej, kolejny antyoksydant, który może pomóc ze zmarszczkami i podrażnieniem. Chlorphenesin - konserwant. Disodium Adenosine Triphosphate - pomaga w produkcji kolagenu i poprawia nawilżenie cery. Algin (algin) - świetny humektant, może być komedogenny. Carica Papaya (Papaya) Fruit Extract (ekstrakt z papai) - źródło witamin A i C, rozjaśnia cerę. Ten składnik świetnie nadaje się dla cery trądzikowej, ponieważ obie witaminy używane są w kuracjach trądziku i przebarwień. Citric Acid (kwas cytrynowy) - kwas należący do kwasów AHA. Delikatny złuszczacz. Portulaca Oleracea Extract (ekstrakt z portulaki pospolitej) - antyoksydant, który przypomina mi aloes, ponieważ składa się w 93% z wody. Oprócz wody to czyste witaminy i minerały. Dobry na podrażnienia i odwodnienie skóry. Natto Gum - produkt stworzony z fermentacji soi. Nawet jeśli macie alergię na soję to ten ferment z soi naprawi Twoją cerę. Natto Gum jet kolejnym antyoksydantem, pomaga ze zmarszczkami, ale również nawilża cerę i ma właściwości łagodzące. Centella Asiatica Extract (ekstrakt z wąkroty azjatyckiej) - zwana też Gotu Kola, Centella to bardzo potężny w sile składnik - nie tylko pomaga na trądzik, ale i na zmarszczki. Althaea Rosea Flower Extract (ekstrakt z malwy) - pełen w witaminy, sprawi, że Twoja cera będzie miękka, mówi się również, że ten kwiat ma właściwości łagodzące. Aloe Barbadensis Leaf Extract (ekstrakt z aloesu) - aloes to dobry składnik na wiele różnych problemów takich jak trądzik czy odwodnienie, aloes w prawie 99% składa się z wody, dlatego też jest to dobry nawilżacz. Disodium Edta - konserwant, bezpieczny w małych stężeniach. Apium Graveolens (Celery) Extract (ekstrakt z selera) - antyoksydant i źródło witaminy C. Brassica Oleracea Capitata (Cabbage) Leaf Extract (ekstrakt z liści kapusty) - antyoksydant i źródło witaminy C. Brassica Oleracea Italica (Broccoli) Extract (ekstrakt z brokułów) - źródło witamin C i A, rozjaśnia cerę. Brassica Rapa (Turnip) Leaf Extract (ekstrakt z rzepy) - źródło witaminy C, balansuje produkcję sebum. Daucus Carota Sativa (Carrot) Root Extract (ekstrakt z korzenia marchwi) - antyoksytant, który sprawia, że cera jest miękka w dotyku. Działa na zmarszczki i polepsza nawilżenie skóry. Oryza Sativa (Rice) Bran Extract (wyciąg z otrąb ryżowych) - lekki złuszczacz, pomaga z krążeniem krwi. Solanum Lycopersicum (Tomato) Fruit/Leaf/Stem Extract - środek ściągający, pomaga w procesie gojenia ran. Lysine Hcl i Proline - poprawiają elastyczność cery, oba używane są w kremach przeciwzmarszczkowych. Sodium Ascorbyl Phosphate - stabilna forma witaminy C, jak wiecie witamina C rozjaśnia cerę. Acetyl Methionine (N-acetylo-L-metionina) - antyoksydant. Theanine (teanina) - nawilżacz. Lavandula Angustifolia (Lavender) Oil (olejek lawendowy) - olejek ten ma właściwości antyseptyczne, ale nadaje też miłego zapachu. Eucalyptus Globulus Leaf Oil (olejek eukaliptusowy) - pomaga z podrażnieniem. Pelargonium Graveolens Flower Oil (olejek z kwiatów pelargonii pachnącej) - składnik antyseptyczny. Citrus Limon (Lemon) Peel Oil (olejek eteryczny ze skórki cytryny) - antyoksydant, może zastopować proces starzenia się skóry i nadaje miły zapach. Citrus Aurantium Dulcis (Orange) Peel Oil (olejek z pomarańczy) - ten olej ma właściwości przeciwzmarszczkowe. Cananga Odorata Flower Oil (olejek ylang ylang) - zwany olejkiem Ylang Ylang, pomaga na nerwy, ale również ma znaczenie dla cery - balansuje produkcję sebum i działa na podrażnienia. Zapach troszkę pachnie jak cytryna czy grejpfrut - bardzo świeży, cytrusowy, który wydaje mi się, że każdy będzie tolerował. Zapach szybko znika. Konsystencja jest gęsta, ale łatwo się go rozsmarowuje, nie jest to ciężki krem - może tak wyglądać, ponieważ jest to dość tłustawy produkt, jednak na na skórze ciężkość kremu w ogóle nie jest wyczuwalna. Jak produkt sprawdził się u mnie? Przez lata miałam problem ze znalezieniem idealnego nawilżacza - zazwyczaj każdy produkt był za ciężki dla cery trądzikowej. Zdecydowałam się kupić pierwsze opakowania późno w 2016 roku - chyba w listopadzie i od tego czasu jest to mój ulubieniec. Nowa formuła nie tylko jest dobra dla cery tłustej, ale również nie zauważyłam u siebie zapychania czy reakcji alergicznych na produkt. Zapach jest miły, nie mogę na niego narzekać. Jedynie opakowanie jest mało użyteczne - musiałam przeciąć je w połowę aby zużyć produkt do końca - zdecydowanie Blue Midnight Cream ma lepsze opakowanie. Moja cera jest lepiej nawilżona i chroniona. Patrząc na to jak długo używam już ten krem mogę przyznać, że to dobry nawilżacz z formułą lżejszą niż Blue Midnight Cream. Używam tego kremu jako baza pod krem z filtrem lub podkład - jeśli akurat używam podkładu/cushiona/kremu BB z filtrem SPF50 - działa bez zarzutu. Cena produktu może być duża, ale jeśli używasz kremu dwa razy dziennie to powinien starczyć na 5-6 miesięcy. Producent podaje informację, że produkt jest odpowiedni dla wegan. Produkt może być używany przez osoby z wrażliwą cerą. Krem Klairs Rich Moist Soothing Cream znajdziesz na wishtrend (24.50$/60ml) oraz na rarebeautymarket (96 zł/60ml). Pokazałam Wam mój ulubiony krem nawilżający, który mocno polecam. To delikatny produkt z wieloma dobrymi składnikami. Jestem pewna w 100%, że zakupię go po raz kolejny, chociaż po zużyciu obecnego opakowania chcę wypróbować Neogen Black Volume Cream, aby zobaczyć czy odczuję różnicę. Mam nadzieje, że recenzja przypadła Wam do gustu. Dajcie mi znać co myślicie o tym kremie i czy już go wypróbowaliście. Znacie Klairs? Jaki jest Wasz ulubiony produkt od Klairs? A co do Klairs to nawet już nie mówię jak mnie nakręcasz na tą markę.. :D Przez Ciebie byłabym w stanie wziać wszystko w ciemnno bo już jakiś czas temu zdążyłam uwierzyć, że mają swoje koncepty dopracowane w najlepszym stopniu.. Muszę urządzić jakieś polowanie na Klairs..
That's great that this product worked for you! Even though it's expensive, it sounds totally worth it! Ma bogaty skład :) Nie miałam kosmetyku tej marki. Dobrze, że u ciebie się sprawdza. great products!! Thank you very much for your visit, I wait for you in my new post!!!! Thanks a lot =) I like the Garnier masks a lot, this one I will try for the first time. Great post with nice pictures! I always look for products with simple ingredients. Love it! 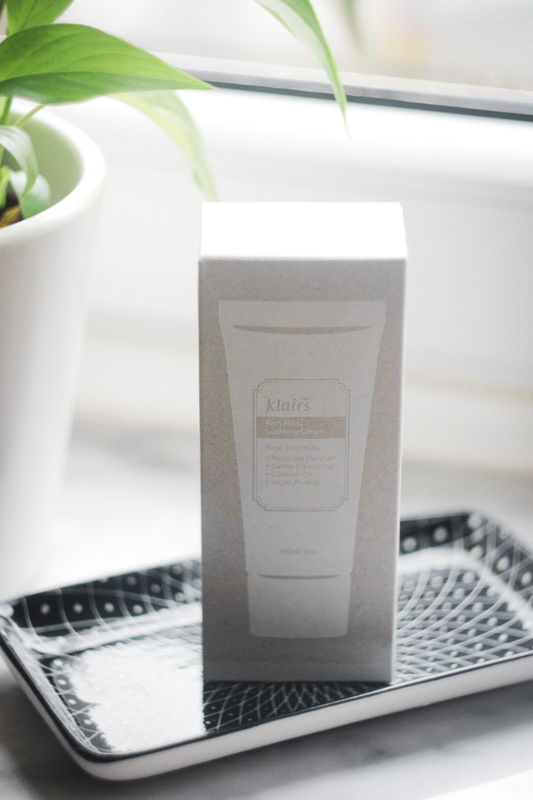 After I read your review, I put this Klairs soothing cream on my note immediately, seems like it has many benefits and friendly to all skin types :) I will give it a try very soon, thank you so much Emilia! Gdzieś już o tym słyszałam, ale oczywiścnie nie miałam więc nie stosowałam :O ale zdjecia przepiękne! Z oferty Klairs znam jedynie ich krem BB :-) ale kremikiem kusisz jak zawsze.